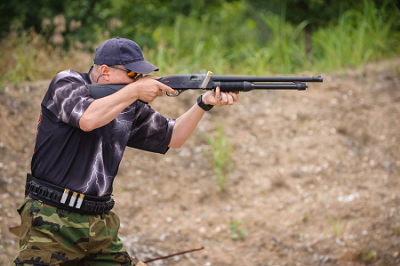 The goal of the Second Amendment Foundation Training Division's “F.A.S.T Shotgun Instructor” course is to provide the student with a solid foundation in basic knowledge of shotguns "Fundamentals and Safety Training", a basic understanding of ammunition and how it functions as well as the shooting fundamentals. A person new to the use of a firearm for personal defense typically has a broad range of questions and is faced with learning a number of skills that are critical in the safe use of a firearm – in this case a shotgun. F.A.S.T Shotgun is specifically designed to provide a person new to shotguns the opportunity to gain that knowledge and learn the basics of operation, cleaning and maintenance, safety and much more in a convenient 4 to 8 hour course. A number of topics will be covered in “F.A.S.T Shotgun Instructor”. SAFTD F.A.S.T. Shotgun student class.